New parents will appreciate these sweet and salty treats. 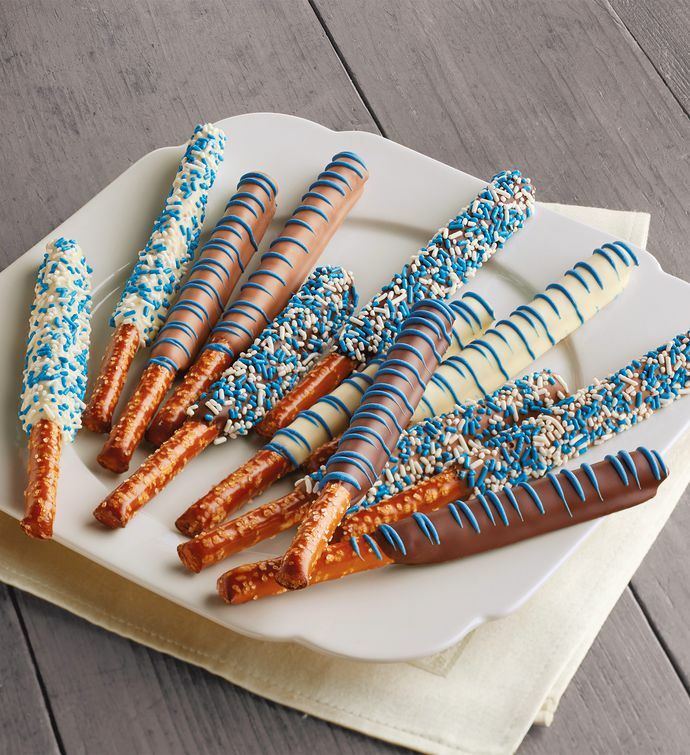 Crunchy pretzel rods are coated in milk, dark, or white Belgian chocolate and decorated with blue frosting and sprinkles. Delivered in an elegant gift box, these delightful confections are the perfect way to celebrate the arrival of a newborn baby boy.